A special Assembly reception was held recently at Stormont, focusing on the urgent need for better muscle care in the north of Ireland. 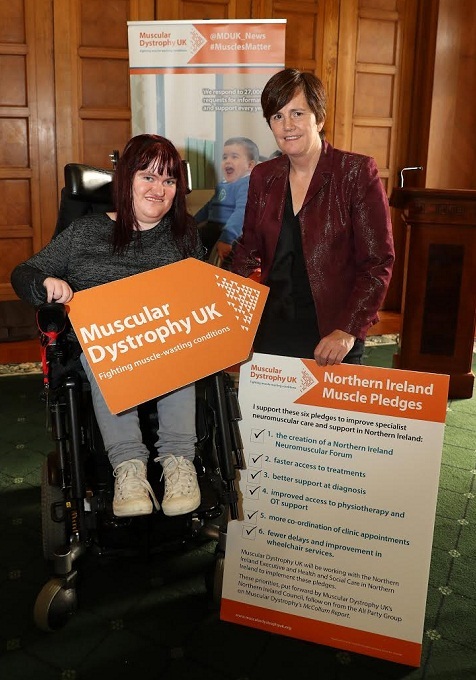 Hosted by Muscular Dystrophy, the event highlighted the problems faced by the estimated 2,000 people in the north of Ireland affected by muscle-wasting conditions, as revealed in the McCollum report. The policy makers were asked to make six ‘muscle pledges’ – a series of policy changes that are needed to allow people with muscular dystrophy to live as independently as possible, to improve their quality of life and enable fast access to potential treatments. South Down MLA Caitriona Ruane met with local constituents affected by muscle-wasting conditions including Michaela Hollywood and heard about the challenges in access to specialist care and support. Michelle O’Neill MLA, Minister of Health, was also in attendance. Claire O’Hanlon, Chair of Muscular Dystrophy in the north, whose son Luke has Duchenne muscular dystrophy, spoke about her family life with the condition. The six pledges were: 1. The creation of a Neuromuscular Forum for the north 2. Faster access to treatments 3. Better support at diagnosis 4. Improved access to physiotherapy and OT support 5. More co-ordination of clinic appointments 6. Fewer delays and improvements in wheelchair services Ruane says she will be highlighting these pledges in the Assembly. 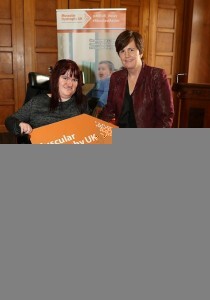 Health and Social Care officials will also be working closely with Muscular Dystrophy to implement these pledges. 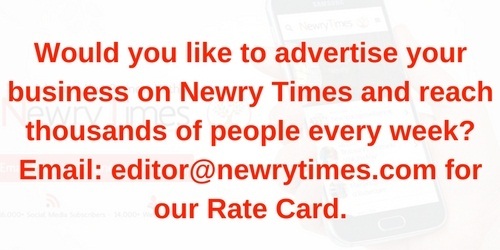 Speaking to Newry Times, Ruane said, “It was great to meet disabled campaigners from South Down at the Muscular Dystrophy reception. There is a clear case for improving the care and support of all those affected by muscular dystrophy in the north. “Michaela Hollywood is an inspiration. 5 years ago, she fought an equality campaign and won when she was being discriminated against. Since then, she has completed her undergraduate degree, her Masters and is a full time worker with muscular dystrophy. No better person to fight for the rights of people with muscular dystrophy,” she added.